The average cost of memory care in Paso Robles is $3,495 per month. This is lower than the national median of $4,650. Caring.com has helped thousands of families find high-quality senior care. To speak with one of our Family Advisors about memory care options and costs in Paso Robles, call (855) 863-8283. Alzheimer's disease affects around 650,000 Californians, including residents of Paso Robles. Almost 14 percent of the city's population of 29,000 are aged 65 or over, and there is one memory care facility in the area that offers care and support to residents with Alzheimer's disease and other forms of dementia. 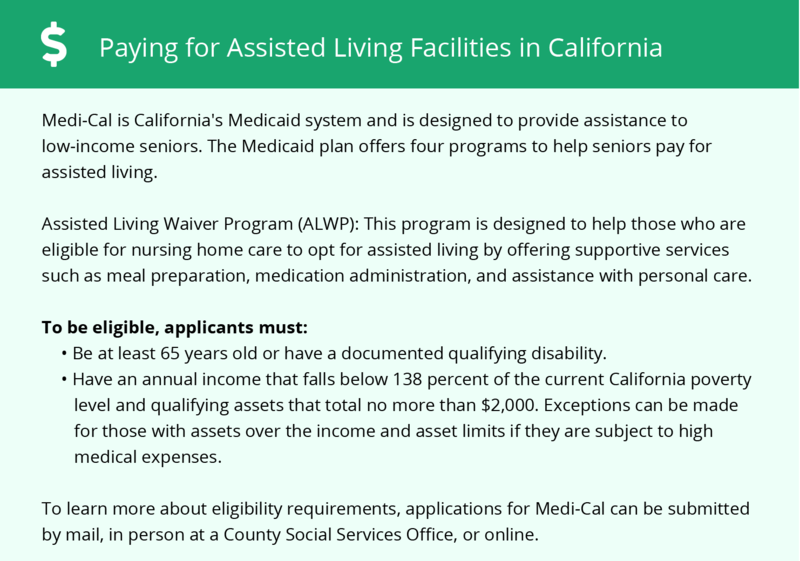 Residential care facilities in California that specialize in dementia care must meet specific building and staffing requirements and are licensed by the California Adult Care Licensing Program. The San Luis Obispo - Paso Robles - Arroyo Grande metropolitan area is listed among the top 20 most polluted cities for year-round particle pollution in the State of the Air 2018 report. It's also in the top 40 for ozone and daily particle pollution. This poor air quality may impact the health of seniors with respiratory illnesses. The Paso Robles area is home to world-class medical facilities, such as Twin Cities Community Hospital, in the event of medical emergencies or illness. There are no facilities specializing in brain health and dementia care in the area and the closest can be found in Fresno. The weather in Paso Robles is comfortable throughout the year. In January the low temperature averages 35 degrees and the city does not receive any snow. In summer the high is around 92 degrees. There are 286 sunny days in Paso Robles each year, over 80 more than the national average, which may allow residents of memory care facilities in the area to spend supervised time outside enjoying the sunshine. The cost of living in Paso Robles is 149 on the Sperling index, 49 points higher than the national average. Some everyday expenses like groceries and utilities are higher than the U.S. average, but healthcare is 12 points lower. This may help seniors with health conditions and their families save more money for their memory care budget. Memory Care costs in Paso Robles start around $3,495 per month on average, while the nationwide average cost of memory care is $4,778 per month. It’s important to note that memory care rates in Paso Robles and the surrounding suburbs can vary widely based on factors such as location, the level of care needed, apartment size and the types of amenities offered at each community. Paso Robles and the surrounding area are home to numerous government agencies and non-profit organizations offering help for seniors searching for or currently residing in an assisted living community. These organizations can also provide assistance in a number of other eldercare services such as geriatric care management, elder law advice, estate planning, finding home care and health and wellness programs. To see a list of free memory care resources in Paso Robles, please visit our Assisted Living in California page. 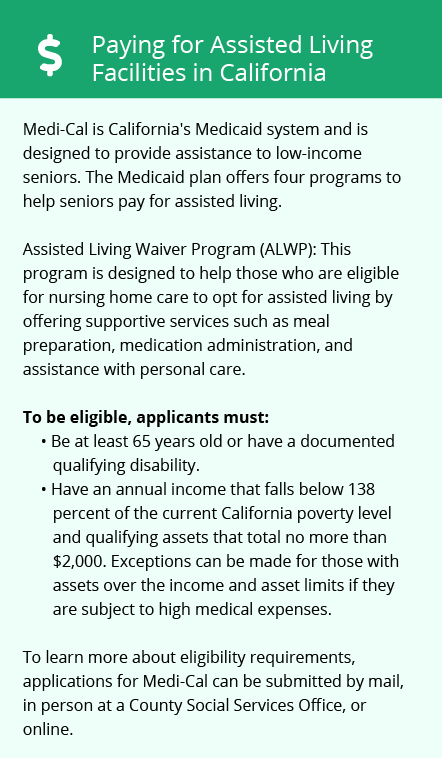 Paso Robles-area assisted living communities must adhere to the comprehensive set of state laws and regulations that all assisted living communities in California are required to follow. Visit our Memory Care in California page for more information about these laws.